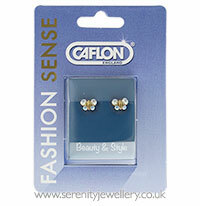 Caflon hypoallergenic 24 carat gold plated surgical steel butterfly stud earrings. 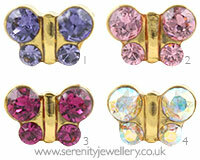 The 7.5mm butterfly design is inset with four crystals. 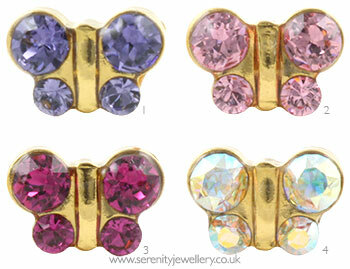 These earrings come with surgical steel butterfly backs. i love the earring, beautiful, the size is not too big and not too small.